A&P: A Former Unfair Retailer? Top Salespeople Born or Made? Gamification the Next Big Thing for Business? Who Uses Mag 2-D Barcodes? An interesting acquisition. I2 is a company known for pattern recognition solutions. You do wonder how this will be linked to applications like Watson. Pattern recognition is a key component of any kind of intelligence. At first I thought this was the supply chain solutions I2 Technologies, but they had already been purchased by JDA. They are the I2 which is an investigation services and analysis company.
" ... Retailers looking for growth in today's economy might pick up a lesson or two from Coca-Cola's Freestyle vending machines. 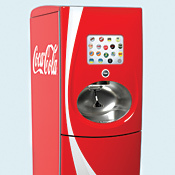 First tested in 2009 and now rolling out full force nationwide, the futuristic touch-screen machines offer customers 125 different beverage choices, from flavored Dasani waters and sports drinks to Diet Cherry Coke. Customers can even create their own combinations -- Fanta Orange and vanilla cream soda, anyone? -- or try flavors unavailable elsewhere, like Raspberry Coke. This month, the company launched apps for Facebook and smart phones that let customers mix and name their own drink. Plans are that one day the apps will spit out a bar code for customers to scan at Freestyle machines and automatically dispense their own personalized blend. Coca-Cola is dispensing more than just flavored water, says Wharton marketing professor Jerry Wind. The company is also creating excitement, tapping into social networks, giving people a chance to customize their own product and empowering customers in ways that a traditional vending machine can't match. Those are important retail strategies in today's economy, where one out of five people in the United States is either unemployed or underemployed and consumers remain reluctant to spend ... "
This article essentially describes mobile applications that use 'game dynamic' style relationship building. Looking at potential applications in the aisle for mobile games now. Any ideas out there to share? In Futurepundit: An examination using strategy games. Is older better for strategy? The latest issue of Informs Analytics Magazine. News and topical articles on analytical methodologies from the premier business analysis and marketing science professional society. We met computer scientist Jaron Lanier while doing work with the Institute for the Future. In the Edge he talks about the local global flip. Quite a long rant on the effect of corporations leveraging the network, collectivism and advanced computing. "If you aspire to use computer network power to become a global force through shaping the world instead of acting as a local player in an unfathomably large environment, when you make that global flip, you can no longer play the game of advantaging the design of the world to yourself and expect it to be sustainable. The great difficulty of becoming powerful and getting close to a computer network is: Can people learn to forego the temptations, the heroin-like rewards of being able to reform the world to your own advantage in order to instead make something sustainable?" Economist Mark Perry also discusses this in his blog. Been following the acquisition of the Kosmix search solution by Wal-Mart for some time.Now ReadWriteWeb has an article with some speculation about what it is all about. Not a great deal of meat there, but useful thoughts. About Wal-Mart wanting to improve its online operations and utilize social networking data. Notable quote: " ... Kosmix had built a Semantic Web platform called the Social Genome, which organized social media data. The platform powered 3 products: TweetBeat, a real-time social media filter for live events; Kosmix.com, a topic-based search engine; and RightHealth, a health search portal. The URLs for TweetBeat and Kosmix now re-direct to a new site called @WalmartLabs. ... "
Just completed a review copy of : Brandwashed: Tricks Companies Use to Manipulate Our Minds and Persuade us to Buy by Martin Lindstrom. To be available September 20. Have enjoyed Lindstrom's earlier books such as Buyology: Truth and Lies About Why We Buy. I will be posting some review snippets of this book here. I highly recommend every marketer and consumer read it. It is very much an updated version of Vance Packard's 1958 book: Hidden Persuaders. Completely updated and containing lots of interesting examples of how marketing manipulates. In many, but not all cases, he names specific companies and agencies. Of course today, unlike in the 50s, we have many more marketing channels than just TV, Radio, Billboards and Print. The Internet is now here as well. Shoppers are armed with their own mobile devices, and data about their activities is being recorded at a furious rate. People who work in marketing or merchandising will know many of the examples mentioned, but I found some I had not heard of. Lindstrom also commissions some specific studies for the book, such as in the final chapter where he constructs a test of human influencers, using the Morgenson family. He also mentions commissioned studies using brain study methods like fMRI.
" ... Very few people know this, but most major consumer goods companies, including Unilever, Kraft, Pepsico and Coca-Cola have set up 'fake supermarkets' ... They stock the shelves with their own products and those of their competitors, then late at night ... they invite people to come and shop. While they are browsing the aisle, cameras and brain-scanning equipment are measuring what happens in real time while they select and reject various brands and items. Not unlike in the film 'Minority Report', these supermarkets generally have a control room lined with TV screens on which reps can actually measure the changes in consumers brain waves as they encounter different positioning of products. Based on this data, the company develops what in the business is called a Planogram, a model showing where each product should be placed to generate the highest sales .... "
This is mostly correct, and looks ahead as we further seek to understand the conscious and especially non-conscious interactions of shoppers with the shelf and packaging, using all of their senses. The store laboratory allows for new retail designs to be both virtually and physically examined. The future is here today. See also Martin Lindstrom's site. As one review suggests, Lindstrom is very much an insider, and that makes this book all the more telling and interesting. In today's world, unlike in Packard's, the industry changes very quickly. Advances like Neuromarketing, interactive signage, and electronic shelf labels, mentioned in the book, are changing quickly. The book provides great examples of their use, but cannot hope to keep up with them. Go to Lindstrom's site, and follow others like this site to keep up to date. Some good examples from Ad-Age. " ... More consumers are turning to tablets and smartphones to shop, but this back-to-school season major retailers are using mobile to drive traffic to stores, not necessarily to encourage online transactions. ... "
A new blog by IBM on Decision Management, appears to be useful. An interesting press release from Junaio. Note in particular the ability to use multiple capabilities, beyond the now becoming common QR codes. As mentioned below, the weakness of this approach is that it works only if there is information on Junaio's channels. Critical mass is needed. Note also the image recognition capability, previously mentioned. Is this the ultimate replacement for having only QR codes? Mostly born based on personality tests, says an article in the Harvard Review. We showed this years ago with something as simplistic as Myers-Briggs tests. The iPad, darling of the consumer crowd, dares to get gritty as Pfizer and other companies try it out in industrial settings ... "
A natural idea, small and easy to interact with with the right software. Though based on our own experiments with laptops, they would have to be ruggedized for general use in industrial environments. Another post about MobileWorks. A favorite topic that we attempted to utilize with the capabilities of the time, but without great success. " ... Enabling software to punt its toughest tasks to humans should result in smarter mobile apps and other programs, say the founders of the newly launched company MobileWorks. The startup makes it possible for programmers to build human intelligence into their software using crowdsourcing—the practice of parceling out relatively small parts of a larger problem to many different people over the Web ... "
A largely technical article in the CACM that reminded me of the complexity of scheduling and resourcing activities in real time.
" ... The problems of time-dependent behavior in general, and dynamic resource allocation in particular, pervade many aspects of modern life. Prominent examples range from reliability and efficient use of communication resources in a telecommunication network to the allocation of tracks in a continental railway network, from scheduling the usage of computational resources on a chip for durations of nano-seconds to the weekly, monthly, or longer-range reactive planning in a factory or a supply chain ..."
A post on Apps that can listen in and determine what you are watching on TV. We will start to see more of this sensor-based application that can understand your context in new ways. I have discovered that I am frequently using a pad or smartphone when I watch TV, creating a 'two screen' interaction.
" ... Early reports that show consumers are indeed glued to their phones while watching TV work in the category's favor. Some 68% of all smartphone users said they use their smartphone while watching TV, according to a first-quarter Nielsen survey of more than 12,000 consumers that own a tablet, eReader, smartphones or other mobile device. The group said 20% of all time spent on smartphones was while watching TV -- that's the largest percentage of time for any activity addressed in the survey. What's more, users surf the mobile web and use apps most during the evening, overlapping with TV prime time, according to recent studies from third-party ad server MediaMind and mobile ad network Jumptap.... "
The curiously interesting 'Google Sets' feature will be shut down on September 5. We experimented with this when it was first released. It provided a form of pattern recognition on sets of search items. It was insufficiently accurate for our purposes, but I could see the general idea being useful. Google Squared, see the link for more details, was related to this set feature, and will also go away. Good thoughts in Mashable about the viability of QR Codes. I think that ultimately they will be a transitional technology, like all bar codes, but there is considerable life left in the idea. M J Perry writes about how companies like Wal-Mart and Home Depot can deliver predictable disaster materials through the magic of the modern supply chain. The market can drive some major results if government will allow it. I remember our own determined reaction to Katrina in New Orleans and the results were excellent. In aisle checkout with Kroger PAL. We tested extensively the concept of shoppers using devices like this in the retail innovation center. Providing new kinds of devices in the store is expensive for the retailer. I think that ultimately we will see shoppers use their own smartphone devices for checkout. An example of this approach can be seen with Aislebuyer.
" ... Courier subscribers can read more about the PAL here, as well as another checkout system the company is testing here. I’m probably a good example of the shopper Kroger is targeting with this device. I’m young, moderately tech-savvy and looking for a quick shopping experience. I also have the advantage of having worked at a grocery store throughout high school and college. 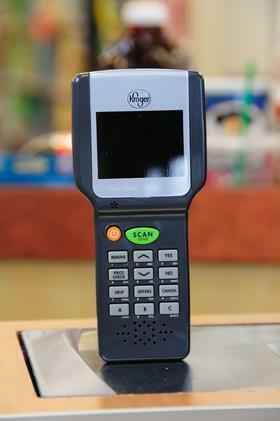 Anyway, I visited the Cold Spring Kroger store to pick up a few items and see how Scan-Bag-Go works. The PAL scanner was easy to use, even in the produce department. Because many produce items are sold by weight, you can’t just scan a banana and know how much it will cost. To solve this dilemma, Kroger installed a number of scales connected to the PAL system throughout the produce department ... "
SAS Voice on high performance analytics. " ... The promise of high-performance analytics, as I understand it, is this: Regardless of how you store your data or how much of it there is, complex analytical procedures can still access that data, conduct a series of calculations on that data and provide answers quickly, accurately and using the full potential of the resources in your computing environment.... " I have now seen several enterprises struggly with this. Each component has its complexities. Hubspot as a case study in getting people excited about their jobs. " ... Everyone talks about wanting entrepreneurial employees. At HubSpot, a marketing software company based in Cambridge, Massachusetts, Brian Halligan and his co-founder, Dharmesh Shah, have put in place a formal system for encouraging employees to grow out of their jobs .... "
We all experience multi-device frustrations. Everything is somewhat different, does not work exactly as we expect, work together with other devices, and over time changes its behavior. How do we deal with it?
" ... A revamped search engine might return different results depending on whether you've researched a subject before. Google seems to have developed almost an almost preternatural ability to divine what users are really looking for when they enter a search term. Its engine often returns useful results for even the most egregiously misspelled queries. But Google's user experience team hopes to give search an additional layer of intelligence—the power to grow with users over time, returning different results depending on whether users are just beginning to investigate a subject or have become old hands ... "
The basic idea has been around for some time. Recognize people's faces via a camera facing outward on a sign and then adapt the promotional interaction based on a person's detected gender and age. Now new advances are leading this further.
" .... Once the stuff of science fiction and high-tech crime fighting, facial recognition technology has become one of the newest tools in marketing, even though privacy concerns abound. The Venetian resort, hotel and casino in Las Vegas has started using it on digital displays to tailor suggestions for restaurants, clubs and entertainment to passersby. Kraft Foods Inc. and Adidas say they are planning to experiment with it as early as this year to push their products.... "
An intriguing Nike visualization ad I had not seen before. " ... A new ad created by Nike might lead the way in marketers using their data in entirely an entirely new manner. The ad is based on a data visualization of 12 months worth of Nike+ run data from New York City, Digital Buzz blog writes. It is serving as a digital installation in-store ad as well as a reward for the Nike Free Run+2 City Pack Series, it says. "The reward allowed customers to sync their runs to create a custom data painting, that was provided as a high resolution print for them to take home." Nike laser etched the runner’s name, the distance he or she ran and run path onto a custom fabricated shoe box, which contained a pair of the ‘City Pack’ shoes from their city of origin. YesYesNo NYC help create the campaign.... "
From the BBC: " .... If you were expecting some kind warning when computers finally get smarter than us, then think again. There will be no soothing HAL 9000-type voice informing us that our human services are now surplus to requirements. In reality, our electronic overlords are already taking control, and they are doing it in a far more subtle way than science fiction would have us believe. Their weapon of choice - the algorithm .... "
An interesting and detailed article in Forbes on P&G's use of advanced data technology. Note this work relates to another post I did about early attempts to deliver this kind of capability. It was an idea we experimented with very early on and was supported from the executive suite down. Large enterprises will increasingly have to make better decisions based on larger and complex data. A surprisingly accurate view of what is going on there, quote below is just a taste.
" ... Procter & Gamble, the world’s biggest consumer products company, continues to be one of the leaders in the race to harness massive streams of data for managing a business better. The company has been profit-forecasting on a monthly basis for about 40 years, trying to predict components such as sales, commodity prices and exchange rates. But the amount of real-time data it has been able to process has increased vastly in the past three years, thanks to better software and Moore’s Law of increasing computing power. Now P&G borrows liberally from tools born on the Web: ubiquitous high-speed networking, data visualization and high-speed analysis on multiple streams of information. The tools allow P&G to make in minutes the decisions that used to take weeks or months, when data had to be collated and passed through committees on their way to the top. With $79 billion in sales and 127,000 employees, P&G is on the verge of having everyone’s talents known and tracked, all information about sales decided at the executive level every week and production viewed in near real-time worldwide. The company talks in terms of increasing the amount of collected data sevenfold. The airy promises of networked technology are here, at a scale rarely, if ever, deployed before. P&G has just started a “digital skills” inventory of its employees, establishing a baseline of skills, including how to get connected to the Internet, how to use basic collaboration and knowledge-exchanging tools for online meetings and mail, and how to tap into the company’s internal social network, P&G Pulse, for news and further training. There are higher expectations for more technical jobs, of course, or in grooming certain careers ... "
Free, Cincinnati local, half day IBM SPSS seminar on predictive analytics. More here, and registration link. 8:00 a.m. – 1:30 p.m.
A number of grocery stores are now providing their own smartphone Apps to increase engagement with their customers. An article in the Miami Herald about the efforts. A discovered technical paper just published in Language Log. About how to estimate kinds of things that exist in a hierarchical organizations. The initial posed question is: How many species exist on earth? We do not know the exact answer, but would like to estimate it as well as possible. Pointers to work by Turing and others in this space. Exactly this question came up when we sought to understand the communication of innovation in the enterprise. This paper would have helped the process. Interesting TED video on the advance of algorithms. A very skeptical view of their value. As someone who has dealt with them for a long time I see much misunderstanding. They can be as simple as a single rule, or as complex as a hundred thousand variable optimization. Like all tools, their value depends upon how we use and depend on them. Should we blindly follow them?
" ... Kevin Slavin argues that we're living in a world designed for -- and increasingly controlled by -- algorithms. In this riveting talk from TEDGlobal, he shows how these complex computer programs determine: espionage tactics, stock prices, movie scripts, and architecture. And he warns that we are writing code we can't understand, with implications we can't control ... "
I just discovered Christian Renaud's Athena Project: " ... The Athena Project is being developed to engage 21stCentury students using virtual learning environments. ... ". About games and learning. I like the idea, but have yet to see it done well. So with all the knowledge out there on the Web, what is really out there in the public domain? Copyright laws continue to extend the extent of protection. Or works are otherwise orphaned. But here is the Public Domain Review What is it about? The public domain is a vast commons of material that everyone is free to enjoy, share and build upon without restriction. All works eventually enter the public domain – from classic works of art, music and literature, to abandoned drafts, tentative plans, and overlooked fragments. The Public Domain Review aspires to become a bounteous gateway into the whopping plenitude that is the public domain, helping our readers to explore this rich terrain by surfacing unusual and obscure works, and offering fresh reflections and unfamiliar angles on material which is more well known. By providing a curated collection of exotic scraps and marvellous rarities and linking to freely distributable copies of works in online archives and from far flung corners of the web, we hope to encourage readers to further utilise and explore public domain works by themselves. We believe the public domain is an invaluable and indispensable good, which – like our natural environment and our physical heritage – deserves to be explicitly recognised, protected and appreciated. A ComputerWorld look at a number of innovations that will lead to changes in tablet design and function. Great to hear, congratulations to Mark Montgomery, who I have corresponded with for years. Read the whole thing on the link below. See also the KYield site. Kyield announced today that its founder Mark Montgomery was issued an artificial intelligence patent (#8005778) by the U.S. Patent and Trademark Office (USPTO), titled "Modular System for Optimizing Knowledge Yield In the Digital Workplace." The claims in the issued patent cover a self-managed system that enables individuals and organizations the ability to tailor the quality and quantity of their data consumption in a continuously adaptable manner, with automated auditing of data on the Web, Intranet, and mobile devices. The patented technology was developed to effectively manage big data and overcome the complex business intelligence challenges in the digital workplace that have proven to negatively impact individual and organizational performance ..... "
In the Harvard Business Review Working Knowledge: All about promoting creativity. " ... We tend to think of the moment of insight and creativity in sudden and shocking terms: the bathtub overflowing (Archimedes), the apple beaning off the head (Newton), the bolt of lightning shivering the key at the end of a kite (Franklin). In the common imagination, ideas come full-formed in a flash of brilliance, raining down like manna from some deity of inspiration. Teaching people how to be creative, on the other hand, is like teaching them how to be tall—that is, impossible. .... "
Properly Using Badges To Engage Customers. Some good thoughts on how to use the concept of 'badges' when doing gamification. I still have my doubts about using the badge concept, but recent reading shows that it does work well in a competitive social environment. At least with some people. Insecure people? Harvard starts a technology lab. There was an IBM ad some time ago which made fun of having to set aside a place to do innovation. Certainly it can be done anywhere? But I found in my own experience that having a lab to establish the context of innovation can be very valuable. I was intrigued early in my career when I saw a place set aside in the enterprise where standard grocery shelves and lighting were set up. Later this was expanded. If you can do the shelves in a conference room, why not expand the contextual ideas to aisles, displays, checkouts and more? The result can be used for testing with consumers, training employees and exploring the possibilities. It was done and turned out to be very successful. It is not clear if the Harvard innovation lab will be any more than an office building, but they should think about the value of clear context. Are we the web? In GigaOm. “the social Web mimics the way we are in the real world … in this new kind of social web, the defining characteristic is us.” A great observation, but how true is it? ... "
Consumers that sign in to the site get a virtual passport and earn virtual badges for exploring pages including video clips from the movie, recipes, coloring pages, product information, games and a sweepstakes. . .... "
Although the main game is over there are still some other games you can play on the site. It has been debated now for some time. It reminds me of the debate when calculators first became common. Will we forget how to perform arithmetic functions if we have a calculator at hand? Yet this is different. Here the availability of search often sends us to the computer right away. And the computer has more breadth of memory than we have. So will this weaken our memory? We would agree, until we directly link brain and computer, that it is good to have personal memory of many things. The link has an abstract and link to the full pdf. New on a favorite topic: 'The Theory That Would Not Die: How Bayes' Rule Cracked the Enigma Code, Hunted Down Russian Submarines, and Emerged Triumphant from Two Centuries of Controversy' by Sharon Bertsch McGrayne. On the reading pile. Delta and other airlines are looking at tablets as a means to deliver knowledge to pilots. More fragile than paper, need to be charged, probably lighter net than a stack of pages. The future very likely. I was just at an Apple Store and saw a huge array of iPads. And a group of people, each with an iPad in hand, watching a demonstration of an iPad. Another table had demonstrators with tablets and new Apps at each, often with a person playing with them. The store was very crowded for a Sunday afternoon. The future. More biologically inspired Intelligence, recently saw this. Have not looked at it in any detail but the idea of plug in machine learning is something we also experimented with in the enterprise. The idea was to find lots of examples and then turn them into rules that could be plugged in as rules. Called case-based reasoning. Practically, though, this is not quite as easy as it looks, the integrating of rules often requires careful consideration of their influence. Looking at this more carefully. ai-one™ – biologically inspired intelligence. We sell software development kits (SDKs) for machine learning applications. We give programmers a virtual brain so they can build artificial intelligence into any software application. Unlike other machine learning tools, our technology works in any language, works with any data and learns quickly without human intervention.... "
And its meaning is a little more subtle than just obscure. And for math lovers it is also related to what is called Zipf's law. And if needed, the patient circle can be choreographed by the patient navigator, something I am thinking about now. In the WSJ Blog, the Numbers Guy: We increasingly depend on data of many kinds. What happens when they are simply wrong? It happens more often than you think. As the article suggests, there are many examples where spreadsheets are still being updated manually, risking big errors. The risk itself is often not tracked well enough either. Check it twice. In Technology Review: The object will be to test sleepiness in drivers. More embedded sensors. Will other biosensors be far behind? " ... The brain-sensing hardware comes from NeuroSky, a company based in San Jose, California, which makes basic electroencephalography (EEG) headsets and chips for various applications including computer gaming, interactive films, sports training, and market research. Whereas current EEG headset sensors must touch the scalp or skin to pick up the brain's weak electrical signals, NeuroSky say its latest sensors can operate through fabric, such as the outer layer of a vehicle's headrest. Some consumer EEG headsets, such as the Zeo, are already being used to track sleep patterns... "
" ... Nielsen Company, the group that has tracked and reported consumer information on radio, television, and the web, has a new way of tracking what goes on in people’s mobile life. Nielsen’s newest study results gleaned from the system, called Nielsen Mobile Analytics, compared the mobile web browsing to mobile app usage among U.S. Android users and found that, whether they're checking their mail or the weather or maybe gaming, users spent two-thirds of mobile time on apps, and the rest on the mobile Internet. The top 10 apps used up 43% of the total time people spent on apps, too... "
" ... founders Riley Scott and George Korsnick decided to take that opportunity by creating Aisle50, a daily deals site for grocery store products that launched this week on the East Coast in 120 Lowe’s Food Stores. Customers buy daily deals on the Aisle50 site and use them by swiping Lowes loyalty cards they already have. In essence, it’s an electronic take on the coupons that many customers have already gotten into the habit of searching for. Will customers go through the trouble of buying a deal on Aisle50 for the sake of saving, as in the case of its first deal, $3 on a giant tub of yogurt? Steiner thinks so.... "
58,000 have signed up so far for the upcoming free Stanford AI course. All about it and the rush to learn about artificial intelligence. We worked with Stanford and Stanford alumni in the AI space. A detailed view of how Apple appears to be looking at augmented reality using a map + compass approach. Based on Apple patents, so it is unclear how this might ultimately play in real systems. Also interesting discussion of the shortcomings of current augmented reality approaches. An interesting example of how food innovators are using Google+ to interact with consumers. My first impression was that this might a useful way to link researchers and groups of consumers. I recall it used to be quite a bit of work to orchestrate this kind of interaction. " ... those who are using the service are doing so in interesting ways such as: using it as a platform for content distribution and sharing, a cooking school, a market research tool, a social feature to integrate into a mobile application, an interactive education platform, and as a collaboration tool. Across the board, it seems that everyone is embracing the enhanced level of interactivity this social platform offers ... ". Looks like it would be useful for many kinds of consumer research in multiple moments of truth. IBM has announced a new working chip " ... an experimental computer chip that emulates the way the brain processes information. IBM’s so-called cognitive computing chips could one day simulate and emulate the brain’s ability to sense, perceive, interact and recognize — all tasks that humans can currently do much better than computers can ... ". The human brain and computer, getting closer together in possibilities. Vending machines. Having seen them used to considerable effect in Japan, have always been interested in their application. Now they are vending drugs.
" ... Gamification -- the application of online game design techniques in non-game settings -- has been quickly gaining the attention of leaders in business, education, policy and even terrorist communities. But gamification also has plenty of critics, and the debate over its future could become an epic battle in the same vein of many online game favorites. This special report includes coverage of a recent Wharton conference titled, "For the Win: Serious Gamification," in addition to interviews with conference participants who discuss the use of gamification in business, government and other arenas.... "
" Procter & Gamble Co.Latest from The Business JournalsNo need to fear the rise of service industries BVI Networks helps retailers track customer behaviorGrowth spurs advisory firms to expandFollow this compan Tremor word-of-mouth marketing division and its Vocalpoint online community have partnered with BillMyParents to offer a six-month “free trial” of its Spend Smart Card, a prepaid debit card targeted to teens ... "
Wharton Prof Marshall Fisher discusses his recently published book: The New Science of Retailing. I have read the book, and have reviewed and mentioned it in this blog a number of times, highly recommended. Here he emphasises the key issue of what data is required to make decisions. This post nicely summarizes what I worked on for most of my early career.
" ... In today's economy, retailers are hard pressed to increase revenues. Among the biggest challenges they face is matching supply with demand. In The New Science of Retailing: How Analytics Are Transforming the Supply Chain and Improving Performance, Wharton professor Marshall Fisher and co-author Ananth Raman argue that retailers have the data they need to manage supply chains more efficiently and increase sales and profits. Knowledge@Wharton spoke with Fisher about what types of data are most important for retailers to collect, how they can use this information to identify home-run products and why the retailing industry might be missing as much as one-third of potential sales ... "
I just posted some questions about implementations of EZ Face Virtual Mirror and got the following response, Thanks! Duane Read – We have a kiosk at the new store at 40 Wall street. Also attached is a video that introduces our technology at DR store. Douglas (Germany) – We have started a rollout of our kiosks in Douglas retail chain in Germany. Galleries Lafayette (France) – We have some kiosks in GL stores in France. Some good examples, see the links to the above. Good to see this is moving forward.I liked what I saw when I looked at it a number of years ago. Maga Design Group See their site for interesting examples of their mapping visuals, at the right a visual about supply chain design, they also have an interesting blog on information design. I like what I see there because it brings some useful detail to the visualization component. I am frustrated by infographics that obscure the details far behind the visuals. Training and understanding the process are key elements. Talking to them now. With research from Procter & Gamble showing many consumers are not happy with dry cleaning, the company has launched Tide Dry Cleaners stores, which have valets to carry clothes to and from customer cars and machines that are visible. The company expects to have several hundred locations within a few years ... "
There is a continued growing interest in private label brands. Shoppers see them as lower cost, and retailers as higher profit. And they piggyback off the marketing messages of name brands. Brought to my attention by former colleague Julie Anixter. Innovation Excellence. I have been invited to participate, will cross post and point to interesting things there as I learn more. Check it out.
" ... Welcome to the world’s most popular innovation blog, featuring regular contributions from the brightest minds in the field of enterprise innovation — thought leaders, practitioners, consultants, vendors, and academia. Innovation Excellence is proud to bring you the best of the best, helping you keep up with the latest insights from the field, while also providing you the opportunity to make your own contribution to the future of innovation ... "
Location based ideas at the shelf edge are increasing. Check in and out of your favorite aisle, category, brand. Obvious useful for retail and brand level loyalty ideas, and much more is possible. I mentioned a test of this idea in a limited number of Wal-Mart stores last year. A Virtual Mirror that allows you to see cosmetics, glasses, etc on your own face. Looking for some confirmation of it still being in progress. Indications of results? Anyone know? Please comment or contact me. The apparent reasoning behind its installation in stores was to decrease the number of cosmetics returns. It can be tried online. A quick look at the EZFace site makes no mention of a Wal-Mart test, or any other in retail. Tell me otherwise and I will report here. An example of in store merchandising technology we are interested in researching further. Have looked at a number of related methods, see also Dan Hill's book: About Face, which I previously posted about. Should these higher level methods be combined with brain sensor neuromarketing techniques? Have recently seen several examples of companies handing out large numbers of tablets and phone Apps, without really thinking through the entire process. Here in Technology Review: Designing Around Collaboration and Mobility: Technology shift sparks a rethinking of conventional office space. With mobile devices invading the workplace and more workers telecommuting, many companies—and the design firms that serve them—are rapidly changing their thinking about conventional office space ... "
What is discussed is fairly obvious and being done in the enterprise already. I am inclined to think there are other ideas, inspired by Google Circles, and even Flash Mobs, that can drive specific expertise to the work more rapidly than ever before, and does not require the traditional office. This is the future, providing continuous analysis to key measures and making sure the right people get the data at the right time. MJ Perry on the youngest generation. At least technologically, and even at a minimum wage job, quite remarkable. In ADAge: Key findings " ... Among Readers Who Saw Ads with Codes, 4% Snapped a Picture, Gfk MRI Starch Research Says : As quickly as interactive 2-D barcodes and symbols have spread through magazines -- check out Glamour's September issue, where you can scan Social SnapTags to "like" an advertiser on Facebook and get special offers -- it's been hard to tell how many readers actually use the things ... "
We worked with Motorola and Symbol, a company it bought, to understand technology in retail. Now Google is buying Motorola for an estimated 12 Billion. Google and retail devices? GestureTek™ is the pioneer, multiple patent-holder and world-leader in camera-enabled gesture-recognition technology for presentation and entertainment systems. Back in 1986, we invented and shaped the field of 'applied computer vision' for computer-human interaction. The company's multi-patented video gesture control technology (VGC) lets users control multi-media content, access information, manipulate special effects, even immerse themselves in an interactive 3D virtual world – simply by moving their hands or body. We deliver Wii-like gesture-control without the need to wear, hold or touch anything. View our [Company Fact Sheet]. In the past 20 years, GestureTek has installed well over 4,000 interactive multi-media displays, kiosks, exhibits, digital signs and advertisements, virtual gaming systems and other interactive surface computing solutions, many with multi-touch interactivity. Our technology is used in museums, science centers, amusement parks, trade shows, retail locations, bars & nightclubs, real estate presentation centers, corporate showrooms, boardrooms, digital signage networks and other public spaces such as airports and stadiums. We’re also revolutionizing television production, game development, advertising, virtual videoconferencing, and even the healthcare sector, by applying our technology in unique and innovative ways. GestureTek was originally known as JesterTek and Vivid Group.
" ... MobileWorks knows this, but it thinks there’s a better solution than micromanagement. The company has set out to build a workforce comprised exclusively of workers who output consistently good results, to the point that users don’t have to worry about managing their tasks. MobileWorks first got its start in January, when it set out to launch a service for crowd-sourcing tasks that would be completed exclusively by workers on mobile devices (in other words, people would be entering data from their cell phones). The company began approaching mobile retailers in India, asking them to identify and recruit customers who might serve as good candidates. The retailer’s incentive? Anyone wanting to be a MobileWorks worker would need a mobile data plan ... "
If Berners-Lee had sought and received a patent for the Web, it would just now be coming out of patent protection. The consequences of that? What does that tell us about the patent systems? A good semi technical overview of BI in CACM: " ... Business intelligence (BI) software is a collection of decision support technologies for the enterprise aimed at enabling knowledge workers such as executives, managers, and analysts to make better and faster decisions ... ". This looks to be a useful resource. About game mechanics and other resources. The Foresight Institute on Open Source Sensing. " ... Establishing standards now for current and near future widespread sensing based upon smart phones owned by individual members of the public will set precedence for considering the future in which MEMS and nanotechnology will make truly ubiquitous and thorough sensing inexpensive.... "
A very good post and video about how newspapers saw their future in the early 1990s. Which describes how a Knight Ridder innovation group saw the future of the newspaper. They show a format looking and operating much like a tablet device looks today. The effort reminds me of our own innovation centers, which looked at the interaction of shopper with home and store. At our innovation center we were fairly sure then about how the future would look and operate. RFID tags on smart shelves and constant retailer orchestrated shelf-shopper interaction in the aisle. We were wrong about some of the important details. Watch the linked video for full effect. Despite the fact that they were using a pen rather than a touch screen, the similarity of their device to an iPad interaction is uncanny. And they were interested in the additional complexity of interactive advertising. They knew this would all happen. What they did not realize was that it would be orchestrated differently. Hints in the video show that they knew that the user could control the form and context of their content, but they did not realize the extent to which search would become a dominant metaphor. Or that a user could decide precisely what they saw, essentially writing off the dominance of the newspaper format. Or that there would be strongly competing formats, like blogs, personal 'face pages', newsfeeds or short messages. All of this would compete with their financial model, threatening their existence. I note that the Knight Ridder Information Design lab described in the video was shut down in 1995. Perhaps too early? Procter & Gamble's Innovation Centers have flourished and exist worldwide.
" ... Let's not forget that buyer beware rules in BI just as it does in most markets, and therefore customer sophistication and internal experience/talent/knowledge is likely the most determining factor (if you don't see a fool sitting around the table.... look in a mirror--that includes enterprise software architects by the way). It's also impossible to relate consulting services to software price tag without drilling down on data silos and integration costs -- still a huge variant there as evidenced by the U.S. Army SAP project among others. As demand partially suggests (sales tactics notwithstanding), there is a lot of value in technologies related to BI, and as we see in the vendor list mentioned above quite a lot of differentiation in how to structure, collect, analyze, and present data for decision making. In the vast majority of cases I've studied, particularly in crisis prevention, it only requires one accurate decision to pay for the entire investment many times over -- it would be irresponsible to forget that rather dominant fact ... "
I hope this draws you to the blog and conversation. TCO in the BI world is important. I wrestled with it in the enterprise where we tended to be lax about what was 'allowed' and thus overpaid more than we thought. LED lights can be flickered very quickly to transmit data. It could replace Wi-Fi under some conditions, though it does require line of sight or easily reflected situations, while radio frequencies can go through walls. Sand's most recent newsletter on neuroscience methods covers a number of interesting papers and articles on the topic. If you have not read about neuromarketing or have not followed it recently, this is the time to catch up. As I have mentioned recently many large marketers are involved. I especially like the note on Shopper insight explosion, my specialty. * Ni Hao (Hello) Beijing - Neuromarketing in China ... "
I saw this post about IBM's first personal computer, not the consumer PC, but the IBM 5150. 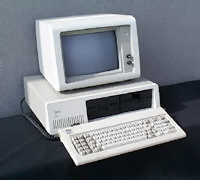 In 1981 we received a loaner from IBM. One ended up in our Chairman's office where he and I programmed it in an early attempt to provide just in time data about sales performance and other Enterprise measures. Surprising to me he was very interested in the details of a personal computer. An Executive Information System. His direct reports were nervous about the idea and the accuracy of the data. We learned much about the organizational dynamics of giving decision support at this level. This was the first time an executive in our company had a computer on their desk. It was not until much later when the Web emerged did we see that happen again. MJ Perry on US consumer spending on goods made in China. Less than 2%. Surprising that it is so low.
" ... Creating a social network is so last week. Today, American Express is unveiling a social media platform called "Link, Like, Love" that gives card members personalized deals on Facebook based on their social graph, while also giving businesses an easy way to set up shop on different social networks. Local and national merchants are already signed on to the program, which dynamically updates new deals in a dashboard tailored to a cardholder's likes, interests, and friends. The platform is very similar to one AmEx launched recently with Foursquare. With 750 million people on Facebook and 10 million on Foursquare, American Express suddenly becomes a powerful player in the increasingly popular (and crowded) deals space. More and more competitors are entering the landscape, from startups like Square to established players like PayPal. But by leveraging the company's reach--the millions of merchants and cardholders using AmEx--the company hopes to provide a scalable solution for businesses and simplify the fragmented e-commerce space for consumers .... "
" ... Shopping has traditionally involved an element of seeing, touching and feeling a product before buying. Shopping online, however, hasn't ever quite replicated that experience. That is, until now. With the advent of 3D technologies, online shopping is on the verge of a radical transformation. One new development is the 3D shopping mall. Companies like VirtualE are operating and licensing electronic malls to give online shoppers the sense of actually being there. 3D images and animation bring the online shopping experience alive. "It makes for a more dynamic experience," said Mark Stein, the CEO of VirtualE. "I compare it to the transition from black and white to color TV. Once color was possible, why would you want black and white?" Shopping has traditionally involved an element of seeing, touching and feeling a product before buying. Shopping online, however, hasn't ever quite replicated that experience. That is, until now ... "
" .... Two weeks ago we made a major announcement: building on technology that we’ve been developing for more than 20 years, we released Computable Document Format (CDF). I think CDF is going to have a big effect on the way all sorts of things can be communicated. Because for the first time it makes it practical to include live computation as a routine part of a document. There are many important applications of CDF that we’ll no doubt be seeing over the months and years to come. But today I’m pleased to announce an experimental one from us: Wolfram|Alpha with CDF. .... "
Above an example of Wolfram Alpha with CDF using sliders to adjust parameters. Read the whole post and explore Wolfram Alpha with CDF. 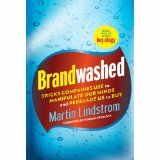 Just starting to read: Brandwashed: Tricks Companies Use to Manipulate Our Minds and Persuade us to Buy by Martin Lindstrom. To be available September 20. Have enjoyed Lindstrom's earlier books such as Buyology: Truth and Lies About Why We Buy. His books are story telling and inspirational rather than either technical or 'how to' . He tells a good story and leads you to results in a way similar to someone giving an excellent presentation. It does remind me of Vance Packard's 1950s book Hidden Persuaders, showing the level and details of exploitation that are ultimately used by marketers and merchandisers. A kind of expose' Thus this book is more B to C than B to B, and may be more interesting to the consumer than marketer. A bigger market. I will follow up with a complete review when I am done with the book. So far it is an enjoyable and quick read. See also Lindstrom's site for background information. The esteemed Mayo Clinic is opening a retail outlet at the Mall of America. In MJ Perry's blog. Jonathan Salem Baskin on innovation at P&G. Is P&G succeeding because of innovative branding, or because of functional innovation? I have certainly seen both, but I think that Salem Baskin has something here. You surely need brand innovation, but is it ultimately functional innovation that makes for the win. Necessary but not sufficient. "Sameer Patel of the Sovos Group wrote an excellent blog post on the way organizations tend to deal with exceptions to process. "The sheer impracticality of channeling exceptions in any scalable way to get the right answers has plagued organizations for ever. Each exception requires a different set of experts or problem owners, some known but most unknown, and often spread across a global footprint at large organizations." 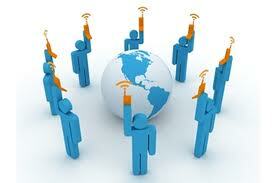 ... "
I have now been a long time user of Wifi in the wild and note the many ways that it is applied. In some cases simply, in other places logging you out periodically to keep the traffic down. How they respond to differing operating systems is always interesting. Here is a guide for Mac vs PC users. The details for the non technically adept are insufficient. The comments, as usual, descend into the usual Mac v PC bickering. Can we ultimately get a standard? Russell Brumfield, 'the Wiz', who we have worked with in the area of smart meeting technology and scent delivery strategies, appears in the August 2011 issue of Smart Meeting Magazine, page 54. He is the head of Wizard Studios, which has continually reinvented meetings. Click on the space below to see enlarged text. The movement of the semantic web into the enterprise. One domain area at a time. I have seen this direction as well. Creating a completely generic solution,even with an enterprise, would mean dealing with disambiguating meaning among many domains. We worked with Stanford KSL in the 90s for AI projects attempting to build taxonomies for corporate knowledge and ran directly into this issue. Amazon now offers a Kindle application for the Safari and Chrome Browsers (others coming) for access to the book reading cloud. I use their App on the iPhone and it works well. I recently mentioned SearchTeam. I see it has now been looked at and reviewed in detail in Information Today, Note in particular the description of the Semantic Topic network, a novel and powerful capability.
" ... Zakta launched a new collaborative search site, SearchTeam.com, on July 12. Proposing to “search the web together with people you trust,” SearchTeam lets groups of searchers save results, add notes, modify results, “like” specific hits, and share results with others. Rather than requiring that the entire team (or group of collaborators) be online at the same time, SearchTeam is asynchronous, letting each team member save results, annotate them, and even upload files to share with others. As described in the SearchTeam FAQ, searchers can create a SearchSpace for gathering and organizing search results for each topic. “You can find and save only what you want while you are searching and throw away what you don't want or find irrelevant. You can automatically organize what you save, into folders of your choosing.” ... "